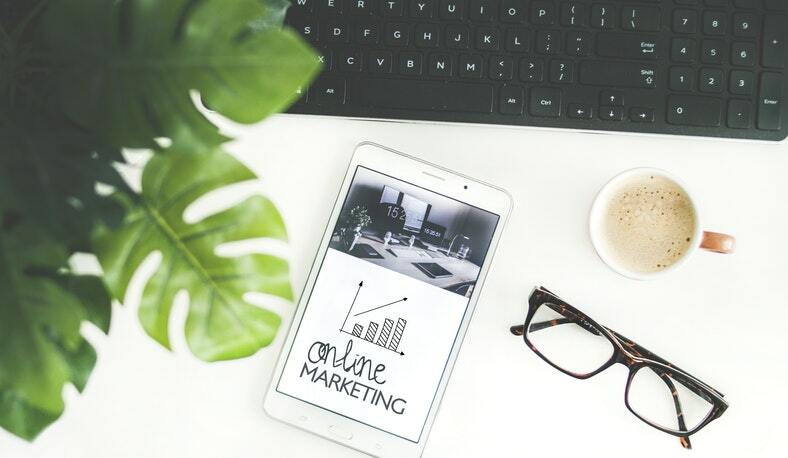 In a world that is becoming increasingly centered on the Internet, it is quite crucial to have an effective digital marketing strategy, which can draw in prospective buyers and followers to your online presence. After all, as of December 2017; more than 4 billion people in the world have access to the Internet. If you are able to tap into even a minute fraction of this gigantic number, it can do wonders for your business online. Whether you have a blog, an e-commerce site or a service-based venture, you need to be able to market yourself tellingly on the Internet. This is where digital marketing comes in and in this age, its importance cannot be emphasized enough. So, if you have ever wondered what is digital marketing and why everyone keeps talking about it, you have come to the right place. In the simplest of terms, digital marketing is the advertising and marketing done on the Internet with the help of various digital channels such as emails, videos, articles, search engines, mobile applications, social media, and websites. In fact, the scope of digital marketing is so broad that there is no fixed definition of the term. Since the marketing is done over digital channels like the ones mentioned above, it is also known as digital media marketing. Using digital marketing, it is possible to promote pretty much anything over the internet. For example, if you have an online store that sells baby merchandise, you can use social platforms like Facebook, YouTube, Twitter, et cetera to promote your brand and products. Similarly, you can also create an email and PPC (pay-per-click) campaigns to drive additional traffic to your site. We will take a detailed look at these in a few. In the same way, if you have an online blog about, say traveling, you can promote the same on digital channels and increase the number of visitors to your site. In both the cases, the end result is that the visibility of your site and its organic ranking in the search results are improved massively. This translates into healthier profits and a stronger digital presence! Pay-Per-Click (PPC): PPC is the most common form of advertising and undoubtedly, the most popular. It is similar to creating an advertisement banner, except you are doing it online. The ads are created for the search terms decided by you and are displayed within the search results only when those keywords are searched for. As an advertiser, you pay the publisher – Google, Facebook, Amazon, et cetera, only when your ad is clicked on (Hence, the name pay-per-click). As a general rule of thumb, the more you are willing to pay for a keyword, the better position its ad will have in the search results. Email Marketing: Email marketing still remains to be the quickest and most direct way to reach out to prospective customers with information about your products/services. This is simply because people check their email quite often. Therefore, by contacting them on a channel where they are frequently available, you are reaching out to a wider audience. However, at the same time, you must ensure that your emails don’t land in the spam box! For this to happen, your emails must be conversational, trustworthy, and relevant. Search Engine Optimization, aka, SEO: As the name suggests, search engine optimization is the process of optimizing your website and its content for the search engines so that they rank higher in the search results. By doing so, you increase the organic traffic to your website. The idea here is to create engaging, quality content that adds value for the user, as well as the site. A core part of SEO is Content Marketing, which primarily revolves around creating content that promotes brand awareness and generates new leads and customers. The content created here should be such that it is not promotional in nature, but rather it provides valuable information to the people. It can be quite tricky to find a balance between the two but if done correctly, your audience will be less likely to tune you out. Mobile Marketing: Mobile Marketing can be considered to be a relatively new genre of digital marketing, but is most definitely worth paying attention to. As of January 2018, more than 3 billion people are using the Internet on their smartphones. This statistic alone should prompt you to look into mobile marketing as a separate channel. This involves working with SMS, MMS, and in-app advertising. Social Media Marketing: Social media marketing is quite straightforward – it looks to promote your brand and products on social media channels like Facebook, YouTube, Twitter, LinkedIn, Snapchat, Instagram, and other relevant channels. In addition to this, it can also be used to generate new leads and attract prospective customers. After all, people aren’t using these channels just to post selfies and watch videos – they get a great deal of information from these sites as well! Marketing Automation: Let’s face it; it is quite difficult to manage all of the afore-mentioned channels separately. You need an integrated platform, an online manager of sorts, which combines all of your digital marketing strategies together into a harmonious, one-stop destination. This is where marketing automation comes in. It is a software which automates and streamlines your marketing operations. In addition to this, it helps you track the performance of your campaigns by providing you with important metrics. Both of these need to be dealt with individually on the respective digital marketing channels. For example, an SEO specialist needs to concern himself/herself with key metrics like organic traffic, bounce rate, organic click-through-rate, et cetera. Similarly, a specialist for Content Marketing will be tasked with strategizing and creating new, engaging content for videos, blogs, articles, outreach, et cetera. This also needs to be coordinated with new product/service launches. In the same way, a digital marketer assigned for monitoring Social Media Marketing will be looking into the number of followers the brand has on social media platforms, along with the number of impressions and shares their content receives. The managers need to create visual and written content frequently on the company’s behalf to keep the audience engaged and promote the brand within the community. Ideally speaking, a digital marketing specialist should be able to manage all of the above activities by delegating the tasks appropriately. He needs to have a sound knowledge of how every channel works and must be aware of the latest developments in the field of digital marketing. Last but not the least, he must be bold enough to try new strategies and draw valuable insights from them. Digital Marketing is an ever-growing field which is becoming increasingly important in the 21st century. As we shift towards an Internet-oriented world, it becomes quite paramount to have effective digital marketing strategies which can help you reach out to a wider audience. Given that there are many aspects of digital marketing, it is crucial to implement all the channels for maximum efficiency and superior results.